The stats and analysis GuideStar shares on guidestar.org drives decision-making throughout the nonprofit sector, guiding philanthropic giving, strategic partnerships, and more. 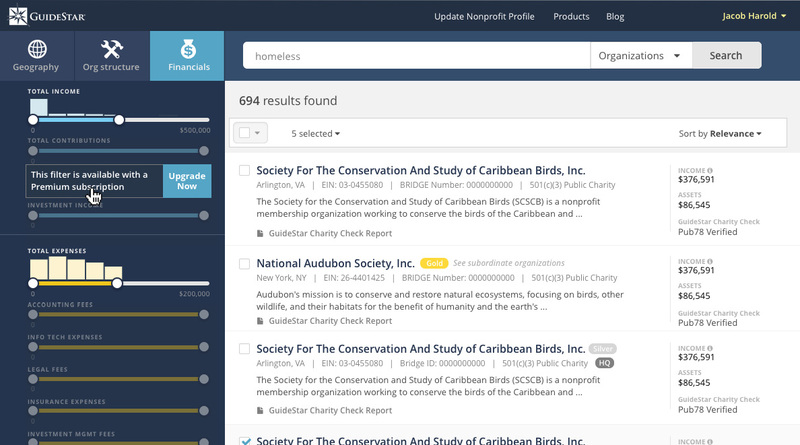 Searching for (and finding) the nonprofit profile of a particular organization or set of organizations is the essential first step for most users' goals when they visit guidestar.org. 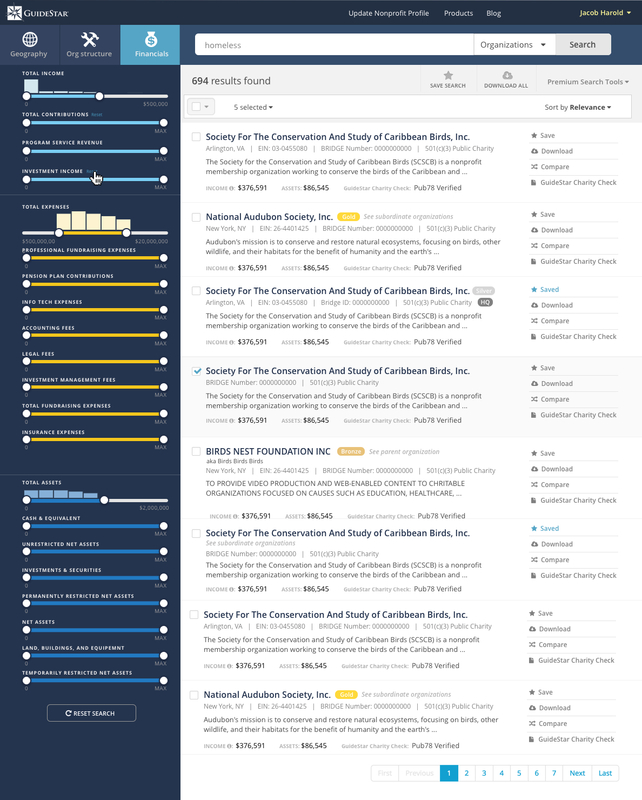 Users need an easy and efficient way to access GuideStar's deep wealth of information, and GuideStar needs to provide relevant and helpful tools to search the massive library. 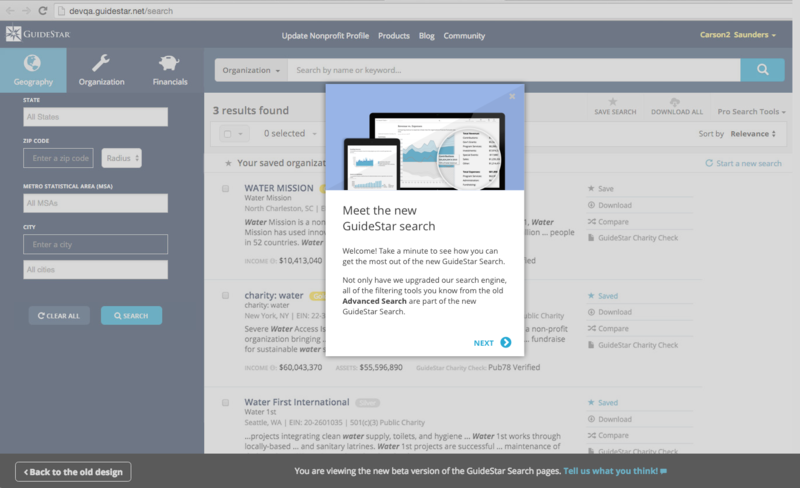 As we considered redesigning our search front- and back-end, our primary goal was to make it easier to find organizations, people, and cohorts on GuideStar.org. 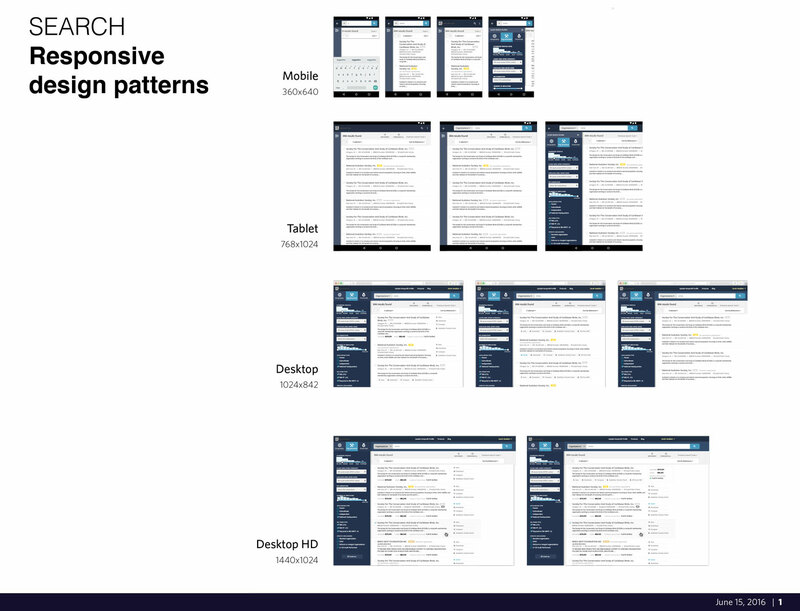 A secondary goal was to refresh our backend architecture, switching to a new search engine (Elastic), and build a new front-end that adapts for use on a multitude of devices. The new search feature launched in spring 2016.